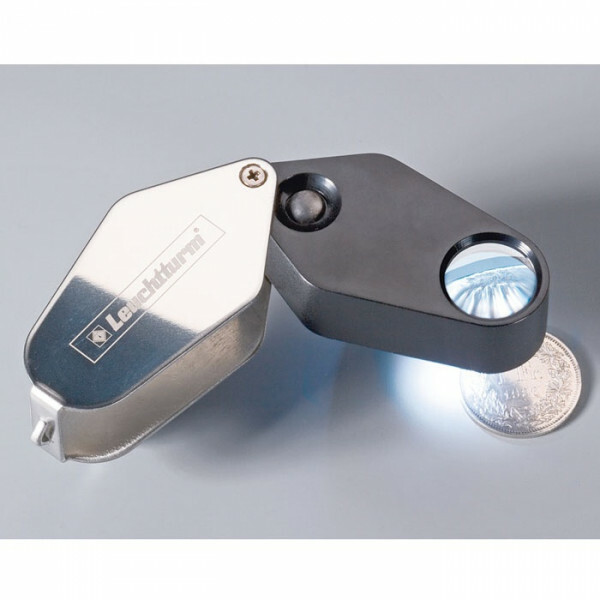 Pocket magnifier with a powerful LED. 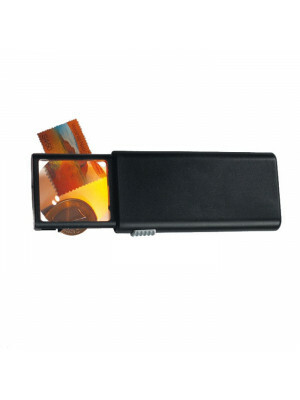 Also has a high, 10x magnification and folds away so you can take it everywhere. 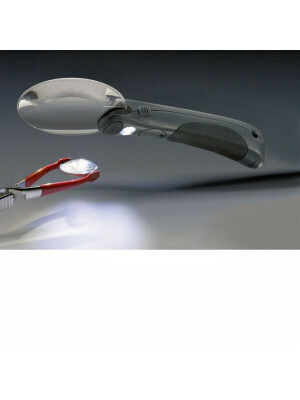 Precision LED illuminated magnifier in jeweler quality, 10x magnification, glas lense, 1 powerful LED, in a foldaway metal case, lens diameter: 18 mm (3/4"), includes batteries (2x 3AG12).